Happy New Year and welcome back! Ambrit Primary had a great ending to 2018. 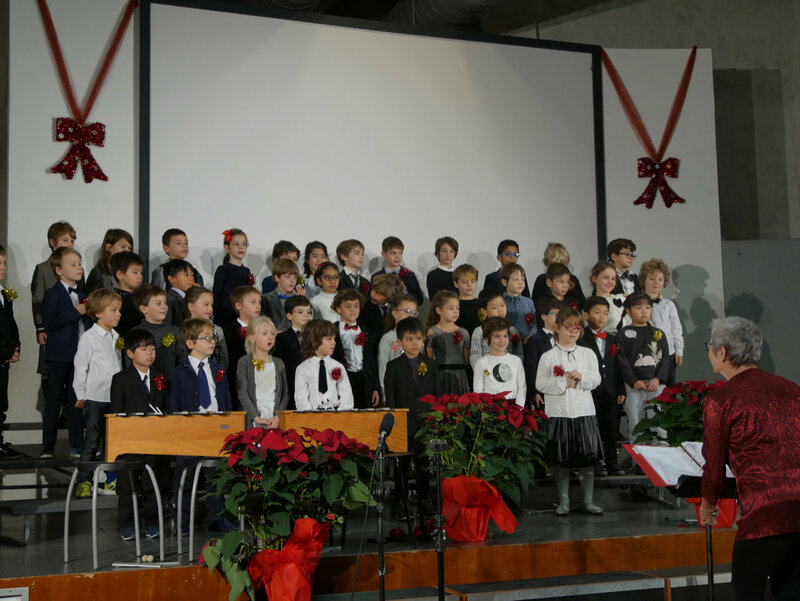 The children did a great job preparing and performing for their Winter Concerts. The Winter Bazaar was a great way to bring in the holiday season with songs, cookie decorating and old-fashioned games. After our first introductory assemblies, individual grades now host monthly assemblies to highlight the learning taking place around the school. 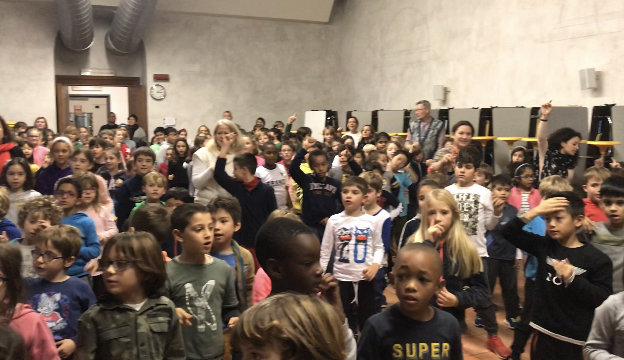 Ms. Short has taught the children a spirit song entitled “Put Your Hands Up High” that was written by our art teacher Ms. Maryann. The children have started singing this song at the end of each assembly to further build a sense of community at Ambrit. We look forward to more learning and special events in 2019! The Winter Concerts were a highlight of the festive season. Ms. Short worked her magic to get 15 classes across five grades to produce wonderful performances that highlighted the children’s musical and singing abilities. A wide arrange of songs from different cultures and communities help spread joy and light in this cold and dark time of the year. It was great to see the personality of each grade shine through in each performance. If you didn’t get the video link to your child’s concert, please contact the Ambrit Office. The Winter Bazaar took place on the penultimate day of school before the Winter break. 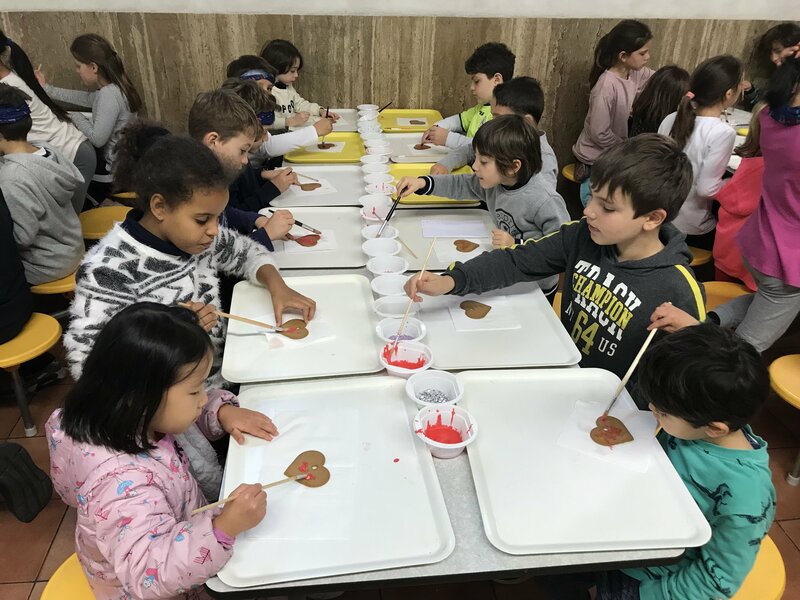 The Friends of Ambrit with the help of many parent volunteers and teachers planned an exciting day for the children including cookie decorating, a Toy Exchange, bake sale, gift shopping, sporting activities and a gym full of old-fashioned toys. Over the three hour period, classes rotated among different stations and sang carols in the atrium. Some classes paired with their buddy classes to make the day even more special. The Giving Tree Ornaments Fundraiser and the Canned Goods Drive were both a success and showed incredible community spirit raising over €2,000. Everyone enjoyed the time together playing, singing and ringing in the festive season. 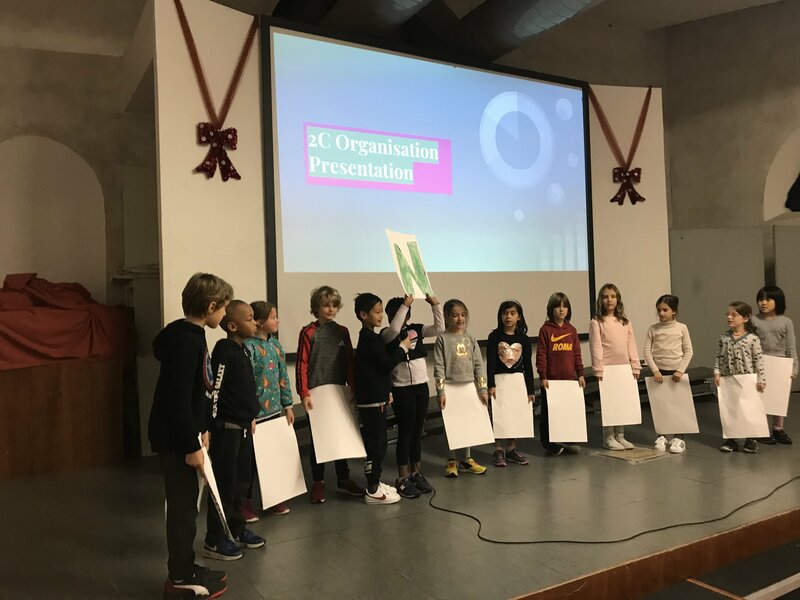 Grade 2 hosted our first class assembly of the year and boy were they organized! I imagine it helped that they were just finishing up a unit on how people organize themselves and it showed! Each class had a different way of presenting what they learned with 2C presenting a slideshow, 2B an acrostic poem and a lovely video by 2G. The children really enjoyed their time in the spotlight with many not wanting to come off the stage! We hope to continue doing monthly assemblies hosted by different grade levels and sections of the school to better share the wonderful learning that is taking place here at Ambrit and build a sense of community. 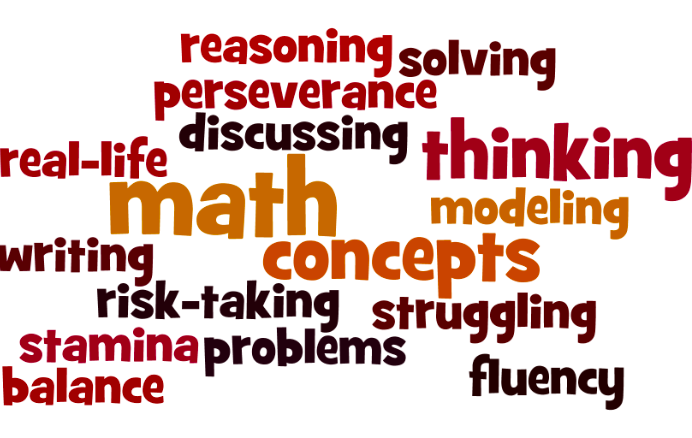 Teachers at Ambrit have been hard at work updating our current math curriculum. Our math curriculum is based on the PYP Scope and Sequence and goes from Nursery to Grade 5. The scope and sequence has five strands including Number, Shape & Space, Pattern & Function, Measurement and Data Handling. Teachers worked over their PD day in November to align the skills and concepts across the different strands. The enhanced math scope and sequence will give teachers and parents a better idea of what understanding, concepts and skills are taught at each grade level and across four different phases of development. We hope to have a version of the new enhanced math scope and sequence online and available for parents to see soon. Please make sure you are subscribed to our newsletters. Click on the appropriate links below to subscribe to any/all of the Principals weekly newsletters. You can also unsubscribe from any of the newsletters by clicking on the link at the bottom of the newsletters.